Under general supervision, conducts forensic examinations and analysis of firearms, ammunition, and related physical evidence pertaining to law enforcement investigations. Serves as a court qualified expert witness in the field of firearms and tool mark examination. Examines, identifies, and analyzes firearms and related physical evidence including bullets, cartridge cases, shot shells, wadding, and live ammunition. Identifies fired bullets, cartridge cases and other ammunition components as having been fired from a specific firearm. Test fires firearms and recovers representative samples. Enters test fire and evidence images into regional and local databases. Accesses databases to search for and retrieve information. Examines fired bullets, cartridges and cartridge cases. Identifies any unique markings present on these such as striations, scratches, breech marks, firing pin impressions, extractor marks, and ejector marks. Identifies the caliber and manufacturer of ammunition and components. Obtains standards from firearms in question. Uses a comparison microscope to compare standards with evidentiary materials. Determines if the standards and evidentiary materials came from the same firearm. Compares firearms and fired ammunition. 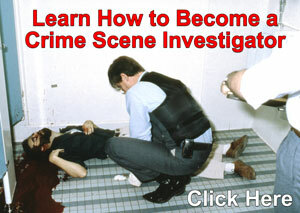 Examines firearms, identifying and documenting their condition, defects, and characteristics. Determines if altered weapons are in violation of Federal Law. Restores serial numbers on weapons. Utilizes a national database (NIBIN) to associate firearms and/or fired cartridge case evidence to other criminal incidents by conducting digital microscopic comparison examinations. Physically and chemically examines evidence. Tests garments for gunshot residues and patterns. Identifies bullet entrance and exit holes in clothing and other materials. Determines the distance and angle traveled of fired bullets. Examines tools and suspected tool marks. Makes test markings and performs microscopic comparison examinations on tool marks to determine if a specific tool was used in an incident. Formulates and presents conclusions based on test results. Prepares and maintains records and case files. Collects and transports evidence from field sites. at least two years' experience in the forensic examination and analysis of firearms, ammunition, and related physical evidence. Experience in the field of firearms, the processing or examination of forensic evidence, or the laboratory testing of materials, may be substituted on a year-for-year basis up to a maximum of four years for the required education. Must have successfully completed training in the field of Firearms and Tool Mark Identification and acquired authorization to conduct independent comparison examinations in an accredited forensic laboratory. Knowledge of the principles and practices of firearms and tool mark examination. Knowledge of firearms and ammunition. 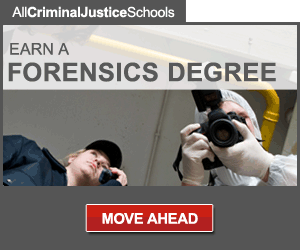 Knowledge of the principles and practices of forensic science. Knowledge of forensic laboratory operations. Knowledge of the principles and practices of law enforcement. Skill in examining, identifying, and analyzing firearms, ammunition, their components and related materials. Skill in handling, loading, and firing firearms. Skill in identifying fired bullets, cartridges cases, and other ammunition components as having been fired from a specific weapon. Skill in collecting, processing, labeling, and storing evidence. Skill in preparing and presenting reports. Skill in maintaining records. Applicants are required to submit proof of licenses, certifications and education beyond high school to meet the required and preferred qualifications of the position. Diplomas or transcripts must show the applicant's major field of study. Copies and unofficial transcripts are acceptable. Failure to submit proof of Licenses, Certifications and Education will result in your application not being considered. Proof of licenses, certifications, and/or education must be submitted with each application. The work of this classification entails the operation of laboratory instruments and equipment, and the handling of firearms and ammunition. On appointment to this classification, an employee must provide a DNA sample to be maintained for quality assurance purposes by way of buccal swab of the inside of the employee's mouth or current standardized collection procedure to be performed by qualified police department personnel. Provision of the DNA sample is a condition of employment and shall only be used for law enforcement purposes as a forensic laboratory or for purposes of human remains identification and request, but only to the extent that the genetic information is used for analysis of DNA identification markers for quality control to detect sample contamination. It shall be maintained and disclosed only in a manner consistent with law, separate from the employee's personnel file as a confidential medical record, and will not be used for any other purpose. See 75 Fed. Reg. 68912, 68936 (November 9, 2010), 42 U.S.C. 2000ff-1(b)(6), 29 CFR 1635.8(b)(6), as amended. Provision of the DNA sample is a bona fide occupational qualification reasonably necessary to the normal operation of the police department. Failure to provide the DNA sample would prevent performance of an essential job function. Employees in this classification are subject to call to duty in emergencies, and may be required to work overtime as needed. Applicants selected for an appointment to a position in Baltimore County must successfully complete a physical examination and drug screen and an employment background investigation, including, but not limited to a criminal background, education, and fingerprint check. May be required to complete an expanded background investigation, polygraph examination, and psychological examination.